OOOOhhhhooo! Those look delicious! I love the big layer of lemon curd :) Welcome back from your travels! How divine! Great job on this month's challenge. 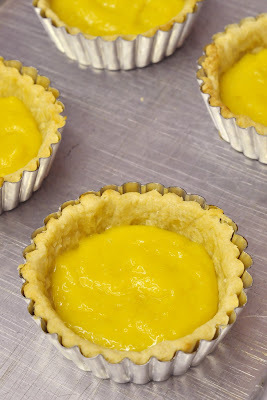 Lemon curd tarts...delicious! Great job! Lisa Rocks..and I don't mean moi! Those tarts look straight out of Art Culinaire! Gorgeous, and they look delicious! 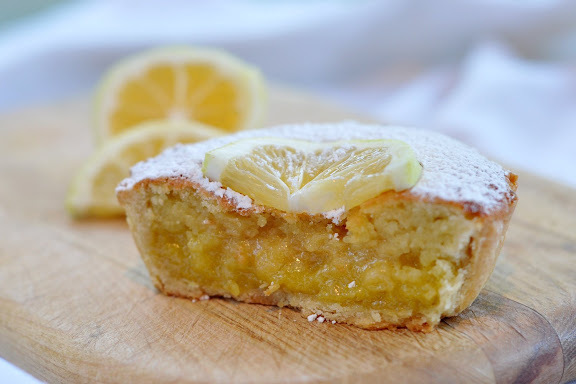 :) Lemony, light and so delicate! 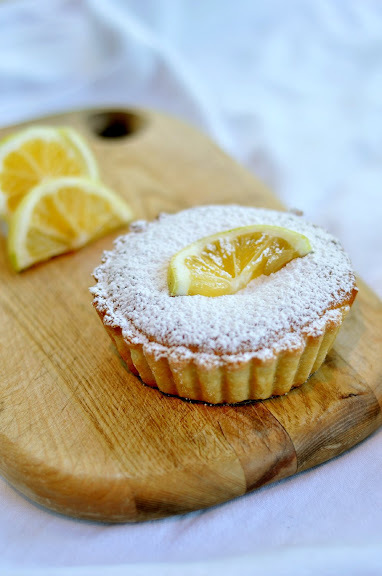 Lemon curd tarts - what a lovely idea! They look delicious! Yum, these look amazing! 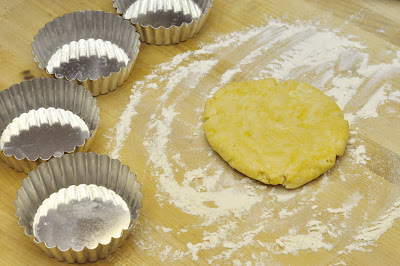 Love your changes...the lemon filling sounds divine! your little tarts are so pretty! They look so good! I love your choice of filling! Yum!! I love the lemon =D!! Beautiful job on your tarts. 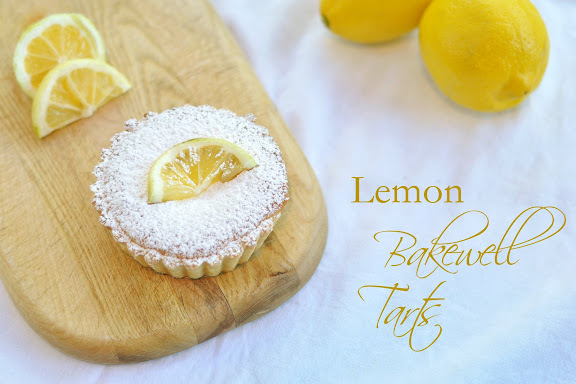 Yum, a lemon-bar-bakewell-tart sounds perfect to me! The photos are really stunning... love the presentations of the tarts! I just love your lemon curd filling. The photos are really amazing! 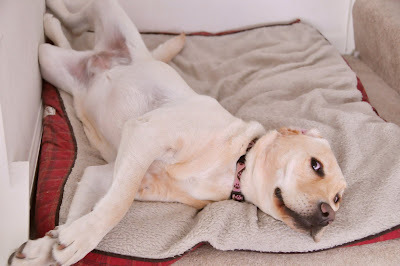 The tarts look amazing but that photo of your dog is the real show-stealer. Adorable! The tartlets look lovely and great presentation at that. Against all odds, your tartelettes and pictures came out beautiful! 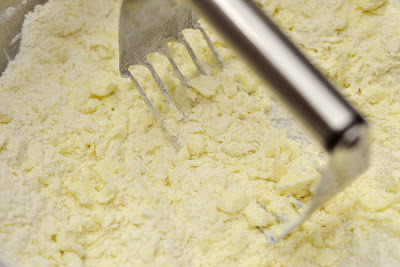 That's exactly what your picture reminder me of - a lemon bar. Yum! Nice job! Lemon curd is one of my faves. The tarts are gorgeous, and no doubt delicious! These look every so yummy...but they're not Bakewell Tarts or Puddings. 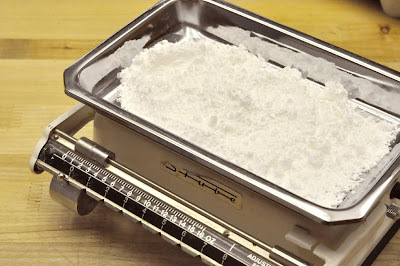 I like to make traditional and regional bakes, and last week I made and blogged about a traditional Bakewell Tart too. The original recipe doesn't use any lemon. It's pastry, raspberry/strawberry jam (I think it should be raspberry, but I'm not sure), then almond sponge. Ones you buy from the shops are also covered in icing, but that's not how Bakewell does it. For the sake of sampling traditional fare, I suggest you try making a Bakewell Tart! Your tarts show no sign of being hurried... I know because mine was - and it shows! ;) Beautifully done! Your photos are just gorgeous. Those tarts look absolutely stunning. Well done! The lemon curd looks so pretty even without the frangipane topping! they look so beautiful. and your dog is the cutest. i'm picking up my very first puppy on friday - a great dane - i'm so excited! Beautiful photos! Lemon sounds perfect for summer! I bet these were good. The almond filling was so sweet, I bet lemon tasted great with it. Lovely presentation, too!